Humberto Rosa has loved film since he was a kid in Rio De Janeiro, Brazil and now that he is fully immersed in the business and art of the film world, he loves it even more. He is a multi-talented and multi-hyphenate player in the movie industry. 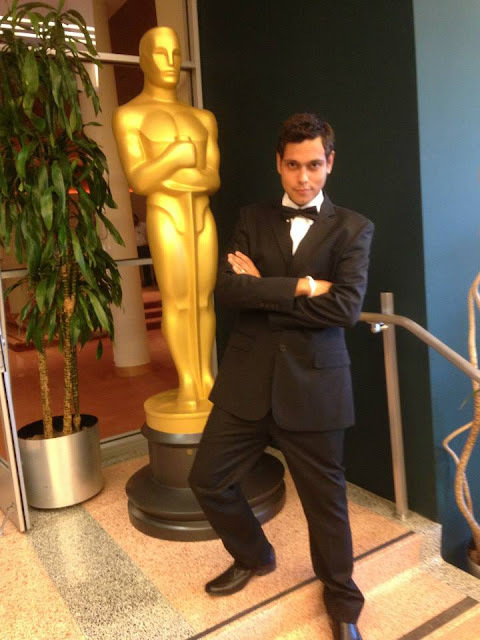 Humberto is Producer/writer/Director/Editor/Composer/Cinematographer/Actor and all around nice guy. He actually has IMDB credits for all these artistic craft specializations. He has twenty directing credits so far and he has helmed Feature films, TV films TV series, Documentaries and short films. He has over 25 producing credits to his name, which include feature films, shorts TV movies and documentaries. Oh gosh…he only has fourteen credits for editing. He’s done short films, TV movies, a feature film Invoke, and a documentary. This guy is like a young Orson Wells! Did we mention that Humberto also has writing credits? Well, he does – nine of them. He wrote the story for a feature film and he also wrote the story for the documentary Travelling sem Destino, the TV series Contos e Desencontras and several short films including, Doce Paris, Catador de Sonhos, Ruim de Cama and Relampago. Do you know why you usually only see one or two people’s names as producer in the credits of a movie? Because it is very hard work, that’s why. A producer has to keep track of literally everything, from the cast and crew to the money to locations, meals for everyone and hotel rooms among about a thousand other things. And being a director takes just about the same amount of organizational abilities – keeping track of the story, the shots, what’s next, etc., etc. Can you imagine having to do both jobs on one movie? It would be very hard for most of us, but Humberto makes it look like a cakewalk. Humberto was the Executive Producer and co-director of the feature film Invoked. It was shot in Ireland over four days. Some people might call that a grueling shoot but we call it first rate efficiency and organization. The producer and director, both of whom were Humberto, had to know what they (he) were/was doing in order to get all the shots necessary so they wouldn’t have to come back and re-shoot any scene. Invoked has already made back its production costs and Humberto can put another gold star by name because once again, he was successful. Did we mention that he also wrote the story for the movie’s screenplay?